With the release of Core V2, we promised a more frequent and iterative development pace. In keeping with that promise, we are happy to announce the second release of our new Core V2 era. Core v2.2 will make ARK even easier to install out of the box and will no longer require the use of any external programs (such as ARK Commander). It has been exactly 1 month since the release of ARK Core v2.1 and we are excited to have another great update ready to publish. A lot of hard work has gone into this release, so without further ado, let us introduce ARK v2.2. 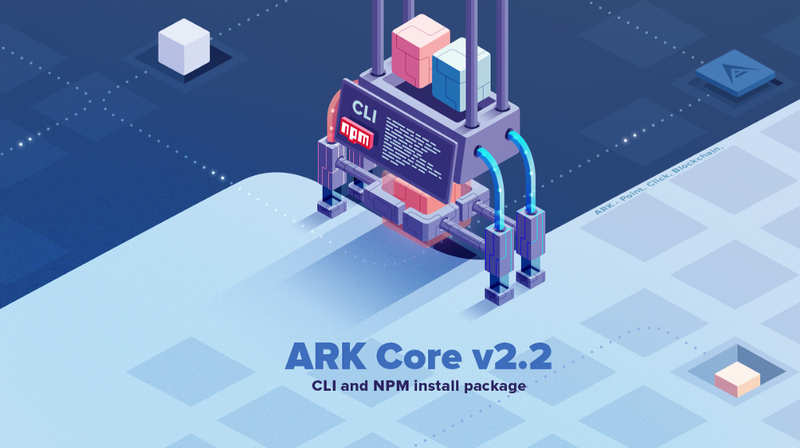 Two of the biggest changes are an introduction of Core CLI (Command Line Interface) and making the ARK Core an NPM (Node.js package manager) package. A CLI is a means of interacting with a program where the user issues commands to the program in the form of successive lines of text (command lines). An NPM package in this case, is an all-in-one management suite similar to an executable file containing all ARK packages needed to run ARK core. We wanted to make ARK Core even easier to manage, without the need to install any other management tool. We achieved this with integration of CLI inside the Core. Core CLI now comes with the ARK Core when you install it, helping you to manage your core much easier. With this, the ARK Core Commander will become deprecated as well.